Capturing wedding traditions are one of our favorite things to do. Las Vegas lends itself, being a destination location for wedding to many different cultures which allows us to learn and capture many different wedding traditions. Many of these traditions are shared with family members that come from afar and bring history and culture that if not shared would be lost. We capture these memories so that they can be passed down to the next generation. It's Paul's Vegas Photography job to capture and photograph these wedding traditions. This is the ceremony portion of a Persian wedding. Just as in western weddings, in this portion, the bride (aroos) and groom (dāmād) are situated infornt of the guests in front of the zoroastrian (wedding table). It's important to photograph the wedding vows are exchanged and the official marriage contracts are signed. Immediately after the couple is formally married, the bride and groom each dip one finger, the pinky finger in a cup of honey and feed the honey to each other. This giving of honey has a symbolic layer of meaning, that of being good health and wishes for the couple and very important to capture with photography. In Hispanic catholic weddings there is a tradition at the church called the lasso rosary, also called el lazo, is an oversized rosary, it is large enough to be lassoed around the couple. After the couple has exchanged their vows, their wedding sponsors called el padrino and la madrina, place the rosary around the couple’s shoulders, starting with groom’s shoulder and then the bride’s shoulder. Once again it is important for the wedding photographer to capture. The priest recites a prayer that joins them together it is similar to: “Let the union of binding together this rosary of the Blessed Virgin Mary be an inspiration to you both. Remember the holiness necessary to preserve your new family can only be obtained by mutual sacrifice and love.” The couple wears the lasso throughout the remainder of the ceremony. At the end of the ceremony the lasso is removed by the priest or by the wedding sponsors who placed the lasso around the couple. We've captured many catholic wedding in Las Vegas and have experience with the policies of the various priests. The Jewish wedding ceremony has many traditions and rituals. 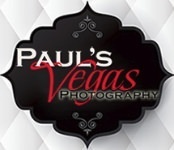 Paul's Vegas Photography has captured a number of these weddings. The blessing over wine in a Jewish ceremony as seen here is very important to photograph. Two cups of wine are used in the wedding ceremony. The first cup accompanies the betrothal blessings, recited by the rabbi. After these are recited, the couple drinks from the cup. Wine is a symbol of joy in Jewish tradition, . Marriage, called Kiddushin, is the sanctification of a man and woman to each other. The Ketubah, similar to a marriage license, is signed to outline the husbands various responsibilities including providing his wife with food, shelter and clothing, and to be attentive to her emotional needs. The Ketubah is so important in protecting the rights of a Jewish wife the marriage may not be solemnized until the contract has been completed. This makes this ceremony important to photography. The document is signed by two witnesses, and is a legally binding agreement within Jewish law. The Ketubah is the property of the wife and she must have access to it throughout their marriage. It is often written and adorned with beautiful artwork, to be framed and displayed in the home. "Jumping the Broom," is celebrated on a couples wedding day. Paul's Vegas Photography has captured "jumping the broom" many times. This is an African American phrase and custom for marriage. Brooms can be waved over the heads of couples to ward off spirits. Commonly, couples jumps over the broom at the end of the ceremony. Jumping over the broom symbolizes the wife's commitment or willingness to clean the courtyard of the new home she has joined. It expresses her overall commitment to the home they will make together.